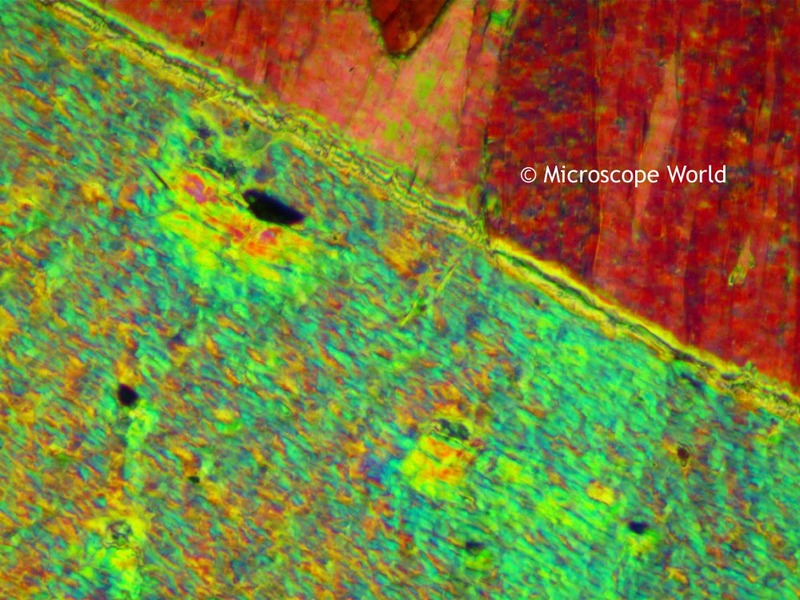 Today in honor of Earth Day, we have decided to share some of our favorite "earth" microscopy images. Enjoy! Tremolite under a polarizing microscope. Tremolite is a mineral that forms from metamorphism of sediments rich in quarts and dolomite. 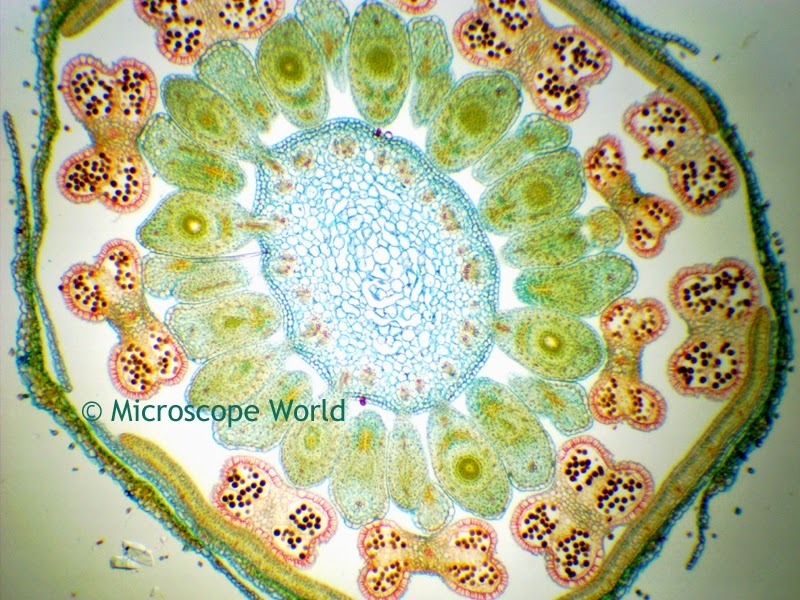 Monocot and Dicot (flower) captured under a biological microscope at 40x. 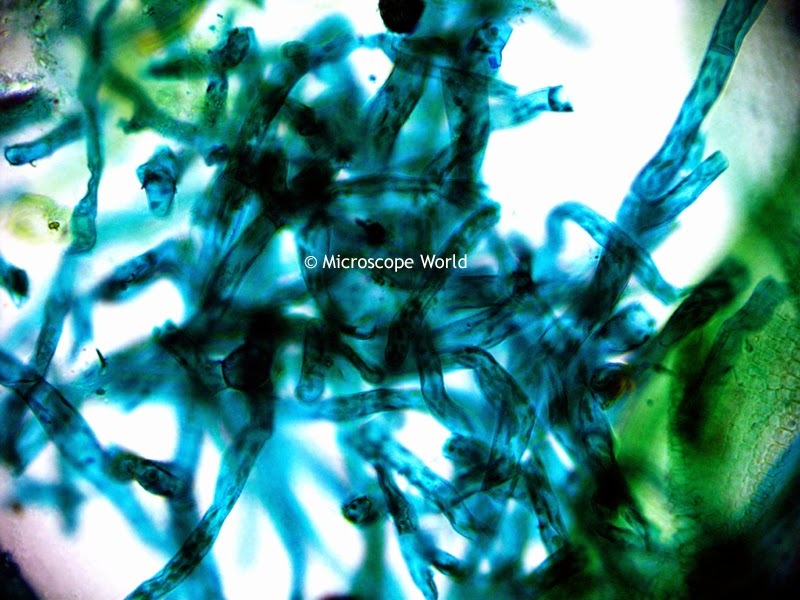 Moss captured under a biological microscope at 400x. 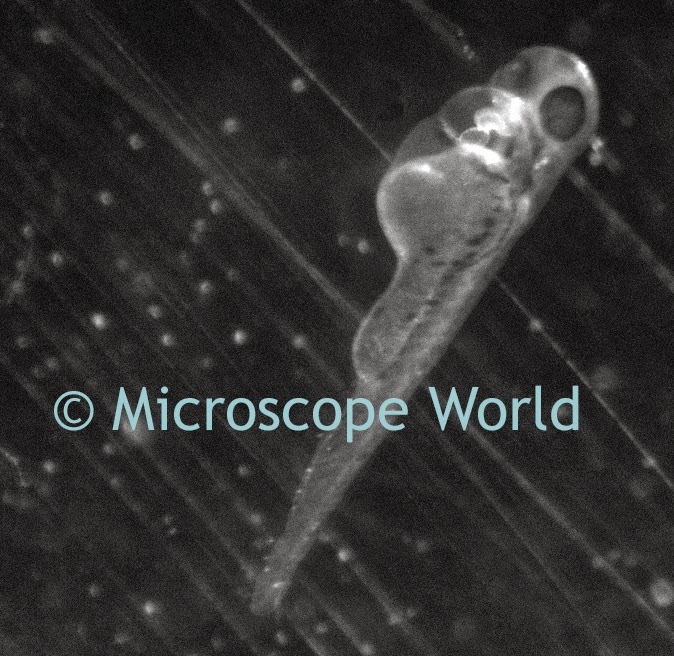 Zebrafish (day 3) under a stereo fluorescence microscope. 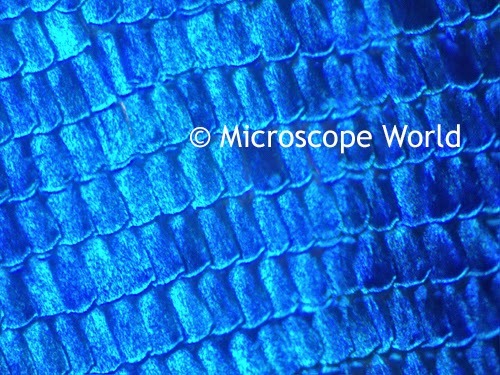 Butterfly wing captured at 100x magnification under a biological microscope.